When David Mossman and Irving Kindersley founded the Vortex Jazz Bar, as the sign has it still, 25 years ago on Stoke Newington Church Street little did either of these pioneers know just how the club would develop. As David Mossman explained during a break standing on the stairs leading to the club now relocated in nearby Dalston these past seven years: “It was a complete accident. Irving was the jazz lover, and we had the gallery but needed to make better use of the space. 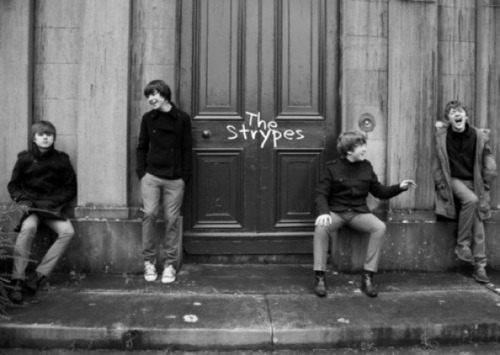 Irving moved on later for the book trade but I was the one who got into jazz and stayed." David, a former taxi driver, who now runs the Harbour Café Bar in Margate, is still is to be found on the door of the club most Fridays and Saturdays. 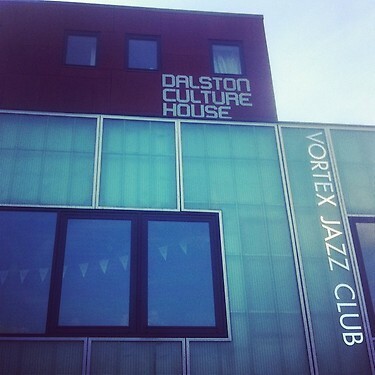 The Vortex itself is now run by a foundation whose main operational director is Oliver Weindling, the public face of the club in many ways, and inspiration behind its move to Dalston’s Culture House when the landlord of the old place forced the club out preferring to usher in a Nando’s instead. Speaking on NTS radio, the Hackney community web radio station broadcasting live from the special free festival running all day to celebrate the 25th anniversary, Oliver talked to saxophonist Alan Wilkinson on air about the way the club has developed. Wilkinson spoke of the hub of great music in Dalston with neighbouring Cafe Oto boosting the buzz. “It’s like 52nd St," Weindling quipped, and as he spoke as if to prove his point, Mats Gustafsson of The Thing and Thurston Moore were performing at Oto to a full house on the second day of their residency. Outside the studio on Gillett Square up to 1,000 people and growing were listening to Grime MC Olushola Ajose, aka Afrikan Boy, performing with a DJ and dancers, while later Nostalgia 77, Ben Lamdin’s band fusing old school funk and soul with spiritual jazz, would complete the fest. 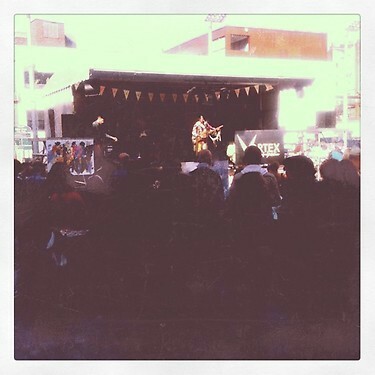 The festival had opened at 2pm with the glorious free jazz anarchy of the rarely heard People Band with its Ayler-esque sense of abandon and great horns featuring Davey Payne of Blockheads renown, 33 records’ Paul Jolly, and Westbrook alumnus George Khan, with spoken word poetry from Terry Day also a highlight. An incantatory hippie spell was summoned up at times with bells, little grunts and sighs, the lot. Wonderful stuff. Later highlights included a feel-good Township Comets with the fine singer Pinise Saul joining the infectious ensemble of Adam Glasser on keys and harmonica, Frank Tontoh on drums, Harry Brown trombone, Rob Townsend saxophone, and Dudley Phillips, bass, creating a scintillating township sound. With Annie Whitehead’s world music workshop, the sounds of Seddik Zebiri from Algeria and his multicultural Seeds of Creation, gnawa psychedelia from Electric Jalaba (pictured) and more besides the crowd enjoyed the fine weather as they mingled and sampled the food and real ale stands. David Mossman could not have envisaged the tremendous success of the club all those years ago when the Vortex was emerging tucked away on a quiet London street with only the occasional bus trundling by to make some noise beyond for company. What the future holds is anyone’s guess; however, one thing is for sure, the club holds the key to the most creative edge of the London jazz scene, and without its input that incubating area for the music of today and tomorrow would be immeasurably worse off, and yet it’s only just begun. 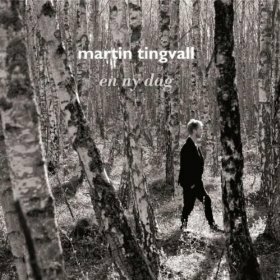 The leader of one of the most acclaimed and best selling young European piano jazz trios currently around En ny dag ("a new day") is Swedish pianist Martin Tingvall’s first solo piano album, and like the trio it’s very different to anything you’ll hear, despite appearances. Tingvall, and maybe critics of his approach will say it’s simplistic and naïve, goes for the obvious improvising route, ie melodic variation. He doesn’t really deal with abstraction in the sense that there are dense harmonies and structural idiosyncrasies, lots of dissonance and knotty rhythms. But there’s much more going on beneath the surface and the tunes are more than good and he builds them via softly realised cycles and subtle shifts in not so much tempo as mood and register. They speak to you. I’d compare him to a popular novelist whose books are readable and have a certain logic to them, rather than to a writer who wishes to redo the rules of the novel and make sure you know that’s what’s going on. There are naturalistic aspects to some of the song titles, all in Swedish, with English translations provided. So you get a falling star and a constellation bookending the album, with thunder (track six), the light and joy of midsummer, and also little asides in terms of song title choices that link to more domestic references. All the compositions are by Tingvall himself, and they all tread a path between quietly melancholic interpretation and contemplative expression. There are no miniature anthems, thank goodness, and it never becomes some sort of vainglorious hymn of awkward quietude and introspection, but there is a positive force at work that is hard to pin down. If you see him with the trio or at a rarer solo concert you’ll know what I mean: you just feel as if you’re glad you made the effort to come, and that what you’ve just heard has made up for the nonsense of the day gone by. Tingvall who was born in the southern Swedish province of Skåne 37 years ago studied jazz piano and composition at the Malmö Academy of Music, moving to Hamburg in 1999, and founded the trio four years later. His first inspiration was McCoy Tyner, something now deep in the background as is Scandinavian folk music to an extent although it’s within touching distance just about. Occasionally there are hints of the approach of Abdullah Ibrahim here and there although despite claims to the contrary I can’t hear the link to Chopin or Bach as primary classical influences that some listeners ascribe to his background, at least on this album where everything is out in the open. 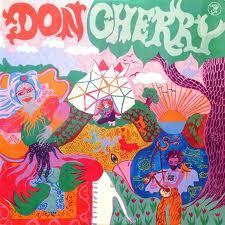 A very impressive album from a fine player who has a highly persuasive musical personality all of his own.